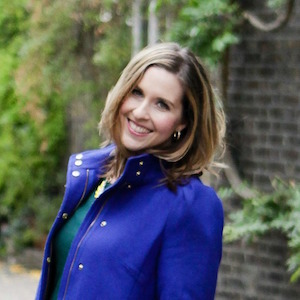 If you’re on my newsletter list, then you know that I’m going to be moving soon. And if you’re not, you totally should be, so sign up (look to your right for that) and get a fun kitchen guide while you’re at it. 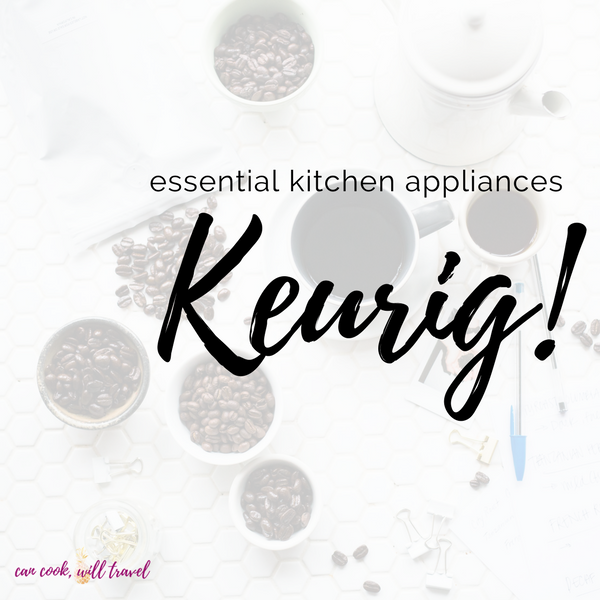 Getting organized and packing has had me thinking about the essential kitchen appliances I can’t live without. So I’m moving to an apartment that’s a little smaller than what I have now, which sounds counterintuitive, but stick with me. There’s actually additional storage onsite, which I think is amazing. I say that, because it’s going to have me surrounded by only the stuff I need and use. Everything else goes into storage! Now as a food blogger and someone who has loved to cook since forever, well I have come to own A LOT of kitchen stuff. From plates and bowls to pots and pans to gadgets and cookbooks, easily my kitchen goodies are a large portion of my packing. So I’ve had to consider which kitchen things will be close at hand and which will live in storage. Suddenly I was contemplating what were my essential kitchen appliances, and justifying that. I was kinda blown away actually as I started to realize that a lot of it could go down to storage and I probably wouldn’t miss it that much. Honestly it’s really freeing, because currently my counters are cluttered with all the things. I’m really excited to have relatively empty countertops, so I have plenty of cooking space. 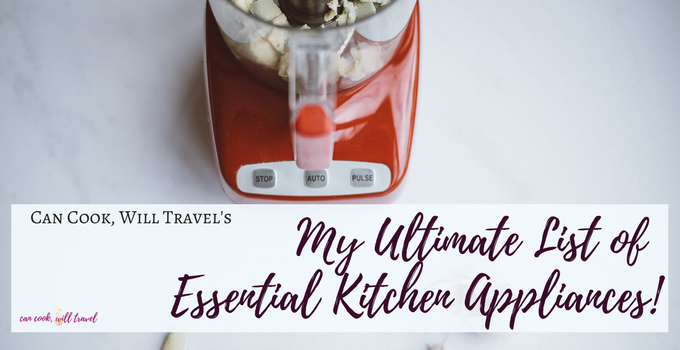 Today I wanted to share with you what I found to be my essential kitchen appliances, why, and recipes that I often use them for. So without further ado, let’s dive in! Ah how I adore my Vitamix! This high powered blender is one that I thought I’d enjoy but I’ve gotten so much use out of it in the past year. 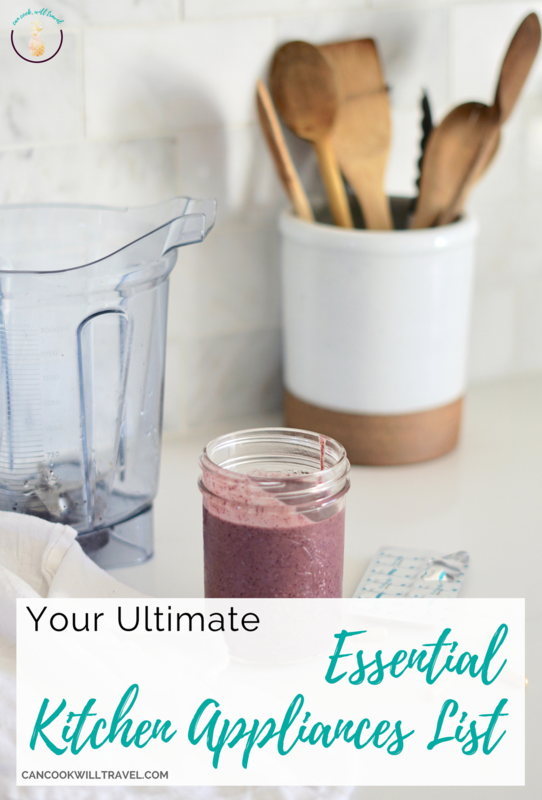 From smoothie bowls to dressings to muffins, well it can really do it all. I used to have a cheap blender, which I thought was good enough. But boy was I wrong! 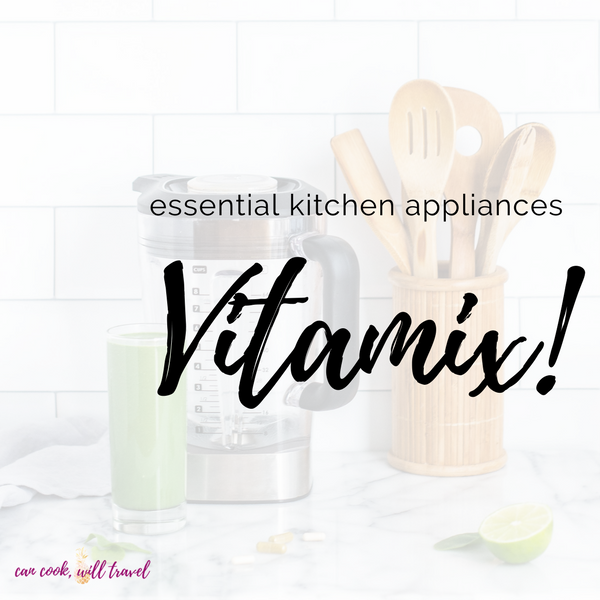 With my Vitamix, I’m able to blend with total power and control. I think the final straw was making spinach artichoke soup, and my blender literally couldn’t handle the job. This gadget easily makes my list and will always be close at hand! The NuWave oven is one that I played around with at my parents’ house and decided it would be nice to have. I use this so much that currently it resides on my countertop, because it needs to be nearby. 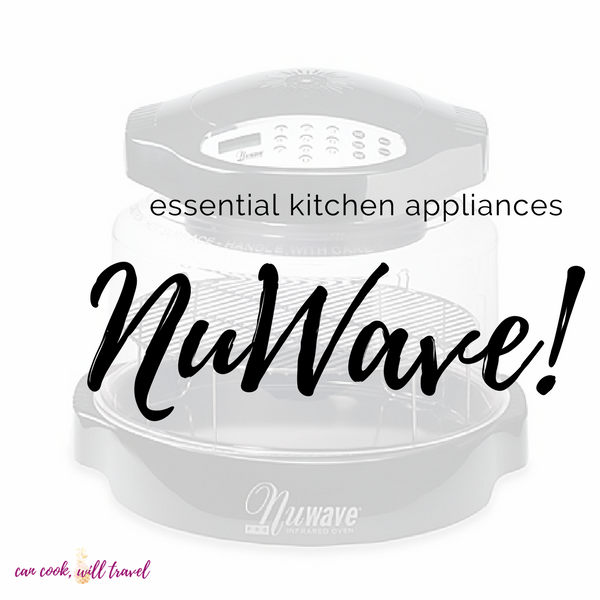 My NuWave has become a combo of toaster and oven for me. I toast my bread and English muffins in it, I reheat scones and pumpkin bread, and it reheats leftover pizza perfectly. Oh and don’t even get me started on bacon, because it makes the BEST bacon. For cooking bacon, I lay the strips across the wire rack and cook for 8 minutes. Then flip it and cook another 3-4 minutes or until it’s to your desired crispiness. Seriously it’s amazing! 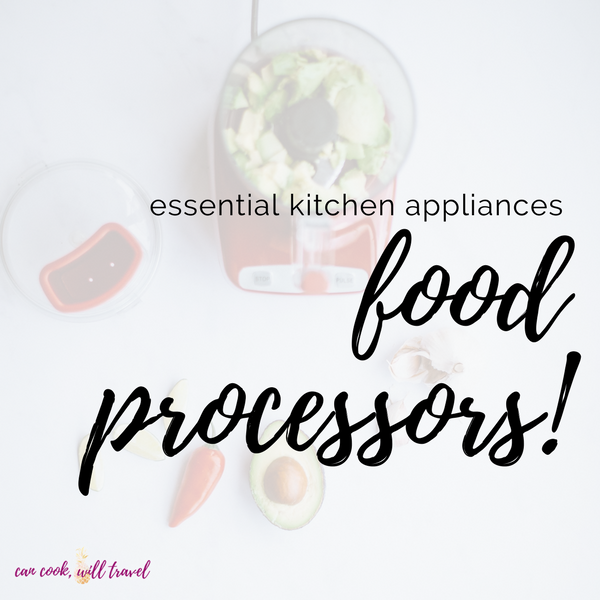 Food processors can seem like a big investment if you get a Kitchen Aid or Cuisinart brand, but they’re well worth it. Nothing else really compares to how well they can chop up veggies and even grate blocks of cheese. I like to use my large one anytime I’m making big batches of food. But if I’m making something small like protein balls or chopping nuts or making a little pesto, the mini version is so handy. Plus the little guy doesn’t take up much space, so it’s a no brainer for this list. You can buy the large version here, and then the mini processor here! When I say “Kitchen Aid”, I’m referring to a stand mixer. And I’m really not sure any other brand quite compares. Even the tilt head kind that I have (which is the least expensive version) is extremely durable. I’ve moved with it more times than I can count, and it still does a bang up job! Stand mixers are critical when it comes to mixing things to perfection without pulling a muscle stirring. I love it for meringues, whipped cream, cakes, cookies, etc. And this beauty will definitely have a spot saved for it on my new kitchen countertops, because I love her so! Now grab one for yourself here! My coworkers know to wait in the mornings until I’ve had time for my coffee, so my Keurig is absolutely essential. I really love making my morning cup of coffee with it, because it’s so darned fast! I also love it for my lemon water and hot tea fixes, too, thanks to the hot water function. So brewing up tea or coffee takes no time at all, and is well worth making room for. I’m debating whether this will stay on the countertops or go into a nook where I’ll be extending out my kitchen. So stayed tuned! Start brewing away by getting yours here! Shhh, don’t tell my sister that I loved her popcorn popper so much that I refused to give it back. Okay this was 10 years ago, and I’m sure she’s figured it out by now. I ended up giving her one as a gift, so that I could keep hers. Listen, a girl knows what she likes, so that’s my excuse. 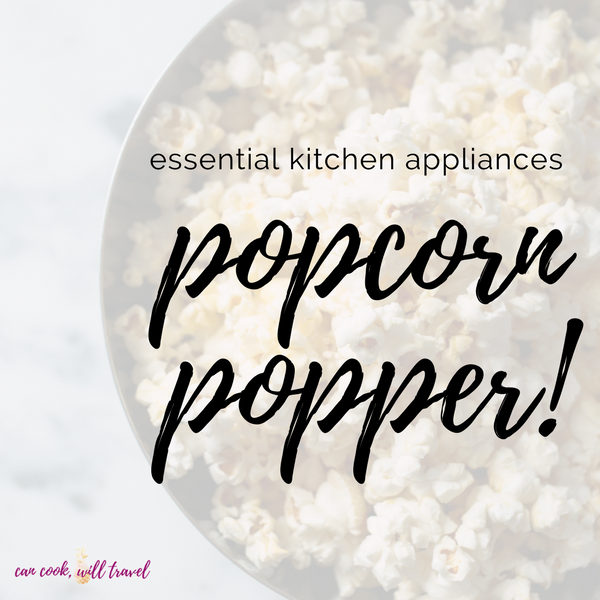 I love popcorn for an evening snack, and if I’m not very hungry, then I’ll often make a meal out of it. It’s light and crazy versatile, so it’s a total win win. And I’m not lying that when I buy a new microwave for the move, the biggest question is if my Presto popper will fit in it. Seriously. And these 2 recipes I’m sharing here are AMAZING, so you should make them! My favorite is the Presto popper, which you can grab here! Ahh, I love waffle makers so much that I have 2 of them. Ridiculous, but it’s the truth. And I enjoy figuring out different recipes that I can try out with this kitchen gadget. 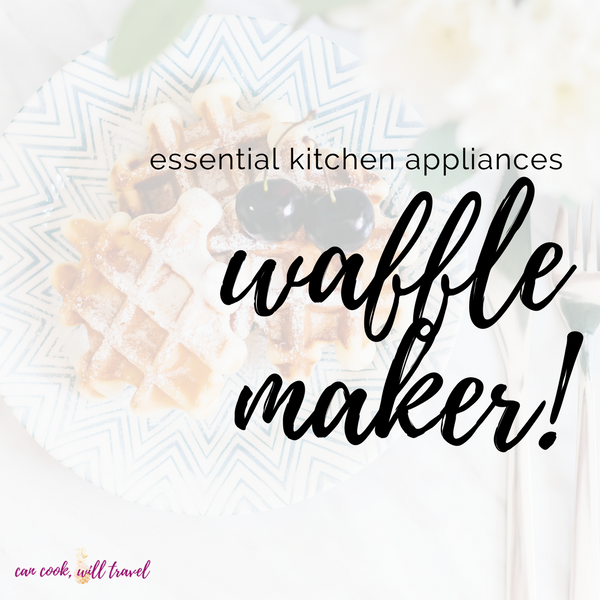 If I have to choose only one to keep in the kitchen, then it has to be the Belgian waffle maker, because I love the deep nooks and crannies for for syrup and fruit to live. I have zero doubts that I’ll be whipping up many more waffles very soon! My Belgian waffle maker works like a charm, so pick one up here! Add On’s: I’m thinking I may want an Instant Pot for my birthday, so we’ll “pencil” that in here as well. That may seem a lot of essential kitchen appliances, but that’s easily only half of my big gadgets that take up nearly a whole closet right now. And I can still go grab anything here and there which I might need from time to time. So my steamer, pasta press, crock pot, rice cooker, etc. won’t be too far from me if they’re needed. I can’t wait to get moved and settled in the new place, which happens a month from now. So stay tuned for that process, and I imagine I’ll be documenting a fair amount of it on Instagram. So you can follow me here as I begin the packing/moving/unpacking process. 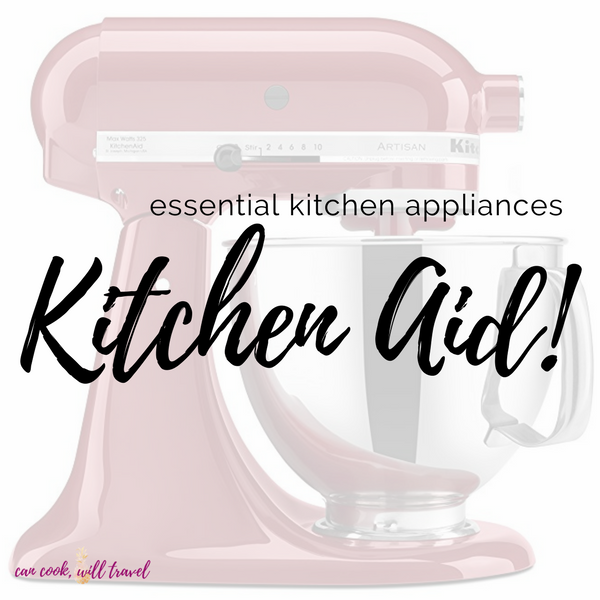 What are your essential kitchen appliances, and share why you love them so?! Comment below so we can keep this conversation going! Any that aren’t on my list that you can’t live without? Stay inspired & go play in the kitchen!